If Hillary is winning the Texas women, Latinos--and, of course, most Latinas, how is it that I keep coming across so many pro-Obama Texan Latinas? Jeannette is yet another young woman doing her part to get Senator Barack Obama elected president of the United States. Unlike the "telenovela sheeple" preferred by the party hacks feeding off the Clinton wagon train, Jeannette is an inspired, active and smart young woman who's investing her time and talents to the cause of uplifting Tejanos, Texas and America. We need volunteers for get out the vote in San Antonio. Please help!!! Viva Obama! Contact Jeannette at jeannette998@sbcglobal.net thanks!!! Yes, Viva Obama!!!! Viva Jeannette!!!! Viva Tejas!!!! A link to this video was part of Anne Villa's comment in response to today's Houston Chronicle story entitled Poll: McCain and Obama lead in Texas. I reposted for American Taino readers to feel a bit of the pride, joy and excitement Senator Barack Obama's presidential candidacy has brought to people everywhere including young Latinos such as Anne Villa of Texas. I love the video producer's tag line: We are the Hope for the Future - YES WE CAN! I am so proud of Obama, so thrilled that I'm alive to experience this point in our history. I can't wait until he is President; I look forward to the fresh, healing breath of air he will be for our country and the rest of the world. Hard as the media etc keeps trying (on Morning Joe, Pat Buchanan advised Hillary she should 'drop a bomb on him'!) they can't stop him - because they cannot stop the hopes and ambitions of the American people; those hopes and ambitions are what Barack is going to empower. Finally, we the COMMON people will also have someone in our corner - all across America we are COMING TOGETHER despite all the fake bomb scares Barack's adversaries can contrive. NEW - on YOUTUBE "OBAMA SONG PORTRAIT: WE ARE THE CHANGE by Bjarne O." "I combined Latino Rhythms, Chinese Erhu, African- and Native-American Voices with the Contemporary Symphonic Orchestra - in the great spirit of Unity - for this Song in support of Obama's great and true message: "Our Time Has Come; We the People are the Change we've all been waiting for. We are the Hope for the Future - YES WE CAN." What campaign for president would ever allow their candidate to hold a rally under the gaze of the devil? Unbelievable! Certainly, the $135 million (and counting) Hillary campaign has a squadron of advance people to scout and prepare her venues. So what gives? There's more. 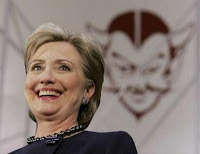 Not only was there this large devil hovering behind Hillary's head, but stretched across the stage was a large banner that read "Devil Pride". Of course, the St. Clairsville, Ohio locals thought nothing of it since the devil is unfortunately the local high school's mascot, but the Clintonistas can not be happy projecting a message of Hillary as devil. Or are they? BTW: Her theme is "ready on day one". Sure, but who the hell is managing the campaign? This clever video by SyliCast brings together the awesome voice of American Idol favorite--a nd Latino--David Archuleta, a timeless and evocative hit of the Beetles, and the phenom that is Obama. Pretty nifty combo. See her YouTube channel for many more creative and provocative pieces. (BTW: SyliCast, aren't all Latinas supposed to vote Hillary? You're dangerous to the status quo.) Imagínese! Si, Se Puede! This video by AkronPorObama is the Ohio Buckeye response to "¡Viva Obama!". It's good humor. Viva La Mujer! Viva Obama! This chart is a composite of some 160 preference polls conducted over the last year. 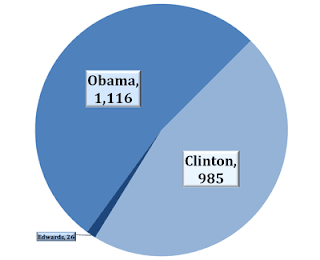 It demonstrates visually what so many of us have known is our gut: it's never really been much of a race between Hillary and Obama. 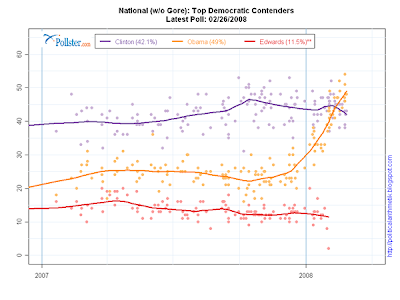 For example, Obama's climb started back in October--some three months before the Iowa Caucuses. Observe how the trajectory of rise rocketed beginning in early December of '07. It was that momentum that explains his "surprising" triumph in the snowy plains of Iowa in early January. So even though the media has tried to generate a horse-race between Hillary and Obama, the truth is that one never really materialized. The Hillary candidacy has been stalled from almost day one--kept aloft only by her superior name recognition, spin by her campaign, and the media's desire for a horse race. Of the three Democratic competitors tracked by the polls, Edwards is the gelding that starts with a limp and is quickly scratched. Hillary is the mare who's only a trotter. And Obama is the thorough bred that forces a quicker pace, drafts, then turns it on in the backstretch and wins by a number of lengths. Granted the primaries are not yet over and all sorts of things can happen to shake up the race between now and the primaries in Ohio, Texas, Vermont and Rhode Island. But then again, the chart does remind us that this race is really between a mare and a thoroughbred. The Ohio Democratic Presidential Debate is over and it was not a good night for Hillary. Her campaign's negativity and race-baiting was exposed. Her flip-flop on NAFTA was laid bare. And her inconsistency on the Iraq War was, again, made painfully clear. Additionally, Hillary's effort to denigrate Obama's plan for health care fell flat, and she was unable to answer why she's not released her financial and schedule records as First Lady. Hillary also lost big points in response to a few unexpected questions re: successor and Minister Farrakhan's views. She jumped at Russert's Putin question and then flubbed it by mangling First Deputy Prime Minister Dmitry Medvedev. And then she inexplicably jumped into a question to Obama regarding Farrakhan--a moment which ackwardly concluded with Obama agreeing to Hillary's demand that he reject that which he'd already denounced. Very weird. 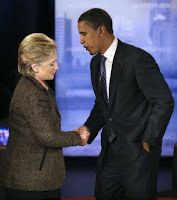 However, Hillary's worst moment came right at the top of the debate when she both whined about getting the first question--and then went on to say that she's fine asnwering first. What? It was a very strange and confusing moment--one which the talking heads afterwards couldn't figure out since most debaters prefer to go first in order to frame the debate. Bottom line? Obama was masterful, in control, presidential. Hillary was, well, Hillary. 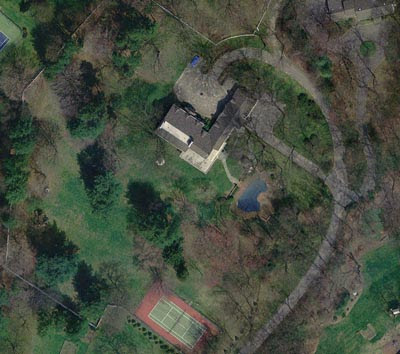 According to Life & Style now: kidnap threats against J.Lo's babies, Jennifer Lopez and Marc Anthony fortified their 10,000 square-foot Brookville, Long Island estate in preparation for their recently delivered twins. "Puerto Rico...determining who would be the candidate for president of a major U.S. political party is deliciously ironic..."
In order to distract attention away from her embrace of Bill's NAFTA, the Hillary Campaign is circulating this photograph of Barack Obama in African garb. The picture of Obama really shouldn’t a big deal. There are pictures of Hillary with a Muslim scarf, Bush with local garb on, Bubba, Bush 41, etc. Actually, the photo should give decent Americans hope that as the next president of the USA, Barack Obama not only has the grace and decency to put on the costume in respect to his hosts, but that the event had real meaning for him--as opposed to the typical Bush and Hillary meaningless photo-ops . However, what is so telling and pathetic is that the Hillary campaign is the one circulating the photo as something negative about Obama, getting caught, and then blaming Obama for being “divisive”. Stupid, right? Q: Does the Hillary campaign really believe that it's free to renew the use of the race card simply because they took off the brown face and replaced it with a black one? Texas State Representative Ana E. Hernandez is yet another Texas Latina for Obama. 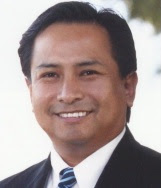 Hernandez was elected in December, 2005 to represent District 143 in the Texas House of Representatives. District 143 covers part of Houston including areas of Magnolia, Manchester, Port Houston, Cimarron and Denver Harbor, the cities of Galena Park and Jacinto City, and portions of Pasadena and Channelview. She serves on the House Committees on Juvenile Justice and Family Issues, Border and International Affairs, and Rules and Resolutions. Obama in Corpus Christi, Texas. 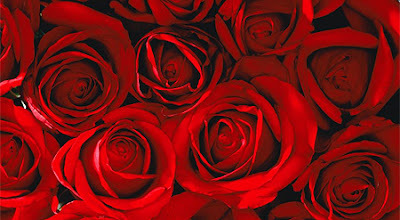 Jennifer Lopez has given birth to twins -- one girl and one boy -- early Friday, February 22nd. The baby girl arrived at 12:12 a.m. and the baby boy at 12:23 a.m.
Congratulations to Jennifer and hubby Marc Anthony! Texas Latinos Tejanos: Viva Obama!!! The debate is not yet over, but it really is. The fat lady has begun to sign. Hillary just flubbed the critical question about being commander-in-chief. She seemed to equate that role with issues of domestic programs and policies. In contrast, Obama addressed it with a powerful response about protecting the nation while conducting a smart use of the military. He went further and welcomed a debate with John McCain--the war hero--for supporting a successful tactical manuever in the surge but failing to understand that the Iraq War itself was a huge strategic blunder--a historic blunder that has hurt America around the world and Americans in very personal and painful ways, particularly members of military families. It's over. It really is. Who's stealing the Obama Vote? Mayor Michael Bloomberg has alleged fraud took place in the New York Democratic primaries, in which Barack Obama mysteriously received zero votes in 80 New York City election districts. 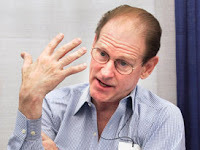 "If you want to call it significant undercounting, I guess that's a euphemism for fraud," he said. Q: Which political hacks carried out the misdeeds and who issued the orders? Where's NY Attorney General Andrew Cuomo on this issue? Of course, we know that Cuomo is a Clintonista and co-conspirator in the use of the race card against Barack Obama with his disgusting "shucking and jiving" smear. And while were asking, where are the attorneys general for New Hampshire, Nevada and California given the funny business that seems to have occurred in a number of precincts in those states in favor of Clinton? And finally, who's watching Ohio, Texas and "Fast Eddie's Pennsylvania to ensure that vote there isn't manipulated? Andrew Cuomo, Jerry Brown, Marc Dann, Tom Corbett, Patrick C. Lynch, Darrell McGraw -- Are you guys awake? And where is Jesse Jackson, Al Sharpton and other voter rights advocates on this issue? Why the silence? Certainly, elections fraud is wrong no matter who's doing it, right? Interesting take by columnist George Will (Playing the 'Fair' Card, Washington Post -2/21/08) on the whole issue of "experience" as superior qualification for the U.S. presidency than are valor, vision, excellent communications skills, sense of timing and capacity. [Hillary] is 60. She left Yale Law School at age 25. Evidently she considers everything she has done since school, from her years at Little Rock's Rose law firm to her good fortune with cattle futures, as presidentially relevant experience. But even in the area of experience, I much prefer Obama's community organizing, stint as constitutional professor at the University of Chicago, work as an effective State Senator and short but substantive tenure as a U.S. Senator from a major state, to Hillary's health care reform debacle, miniscule U.S. Senate record, questionable business dealings and lead "war room" dirty tricks and negative campaigning. Hillary - "Obama's just words"
Bill - "Obama's like Jesse"
"Obama is a fraidy cat"
"Obama's Winning Because He's Not White!" "White people won't vote for Obama." The contrast between the political systems of the United States of America and Cuba couldn't be more sharply drawn than in how each country chooses it leader. The U.S. is in the throes of spirited primary elections to select the presidential candidates for the two major parties. Additionally, smaller parties will gather their members in conventions over the next 5 months and select their candidates. In the fall, some 150 million Americans will cast votes for their favorite--and someone will emerge as America's new president for a four year term. Things are just a tad different in Cuba. This week there, one aging despot named Castro simply handed over his dictatorial powers to another aging despot named Castro. That was it. Of course, they'll have some "pick-from-a-list-of-one" candidate--Raul--in a charade they'll call an election by the people. Yes, the process in America needs improvements: it's too cumbersome, frought with abuse and biased towards the major parties and special interests. However, what the Cuban people are made to accept is morally bankrupt and politically corrupt! Viva Cuba Libre! Si, Se Puede! 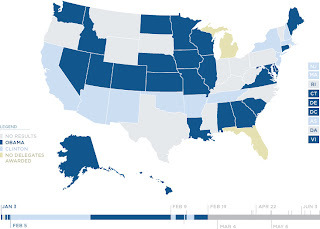 Obama has taken Wisconsin AND Hawaii! He is the undisputed leader for the Democratic Party Presidential nomination! Yes, We Can! Unfortunately, the mulish band of monocratic Clintonistas still don't get it. They're now committed to over turning the popular will of Democratic voters by pressuring super delegates and Obama's earned delegates to vote for Hillary. The good thing is that the more Democrats see exposed to the machinations of the Clintonistas, the more they see Hillary, Bill and the Clintonistas as unworthy of another run of the country. On the GOP side, John McCain has clinched the nomination. He is now free to join Hillary in wounding Obama--the Democrat's eventual nominee; and they started last night. Both blasted Obama for his eloquence and for not having been a lifetime member of the Washington plutocracy. 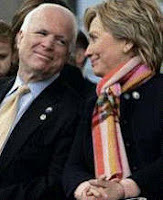 Q: Do the Clintonistas prefer 4 years of McCain to 8 years of Obama? Think about it! 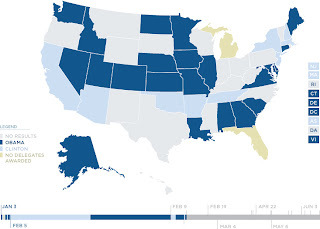 Next is Ohio, Texas, Rhode Island, and Vermont vote on March 4th. Vote! Yes, We Can! Si, Se Puede! Arkansas Max: It's Over for Hillary. Arkansas Times writer and Clinton supporter, Max Brantley, says "It's over" for Hillary. Here are his reasons: 1) the times and the media favor Obama; 2) Bill Clinton has been a negative; and 3) the fighting about Obama borrowing a few of his friend Deval's phrases shows desperation. The founders of Ben & Jerry's endorsed Barack Obama Monday, loaning the Vermont campaign two "ObamaMobiles" to tour the state while doling out "Cherries for Change" ice cream. “The Mighty Sparrow is comparable as a lyricist only to Bob Marley and Jimmy Cliff in the Caribbean,” writes Abeng News Magazine - and proceeds to post a song by the Calypso King of the World endorsing Barack Obama for the US Presidency. Barack Obama - a John Kennedy for our times (UK-Timesonline)It is hard to see who can stop Senator Barack Obama becoming the next President of the United States. He has built up an excitement such as no candidate has created since President Kennedy in 1960. He is, in my view, a better speaker than Kennedy. Like Kennedy, he combines personal magnetism with a strong appeal to American idealism. Obama prerogative (Malaya)"... It is clear, however, whose election would have the most dramatic effect: Barack Obama. In one fell swoop, an Obama victory would eliminate at least half the massive anti-Americanism now felt around the world. US Presidential race: Prominent Indians back Obama (One India) The 2008 US presidential election nominee, Democrat Barack Obama, seems to be gaining support in the Indian-American community. Japan's Obama Town Loves Obama the Candidate (GOLDSEA AsianAmerican) Barack Obama has never been to this port town on Japan's snowy west coast, and residents only know him from news reports on his faraway campaign for the U.S. presidency. No matter, Obama the town is nuts about Obama the man. Does Obama prove US is colorblind? (China Daily) US Senator Barack Obama's convincing win in Thursday's caucuses in Iowa - a state with just a smattering of minority voters - demonstrated his support crosses racial lines and supported the idea that America is receptive to electing its first black president. Steun Bos voor Obama valt slecht (Nieuws) Premier Jan Peter Balkenende heeft vicepremier Wouter Bos op zijn vingers getikt omdat de PvdA'er zijn voorkeur heeft uitgesproken voor Barack Obama, de Democratische presidentskandidaat in de Verenigde Staten. Obama for President? (Singapore Patriot) I've been following Obama's campaign on the Internet for several months now, and I must say I'm rather impressed with the man. There is something different about him. Inspirational leadership is what comes to my mind. Obama bribes voters offering 210 billion stimulus plan (Pravada) Democrat Barack Obama said Wednesday that as president he would spend $210 billion to create jobs in construction and environmental industries, as he tried to win over economically struggling voters. Plantea Barack Obama reto político sin precedentes en EU (Notimex) El senador y aspirante presidencial demócrata, Barack Obama, plantea un reto político formidable y sin precedentes en Estados Unidos, porque resume la cultura de sus ancestros kenianos con la estadunidense, señalaron analistas. Watching Obama, Mexico opens a window on its racial issues (Cox News Service) The Mexican media has crowned Barack Obama the "black Kennedy" and interpreted his strong candidacy as a signal that the United States is finally entering the age of racial enlightenment. Obama has created a buzz in the country's blogosphere and among the chattering classes, who see him as the embodiment of the American dream. 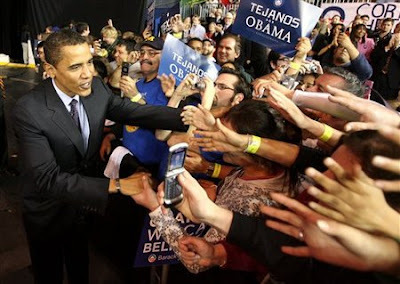 But despite the public accolades, Obama's candidacy has also opened a window onto Mexico's own uneasy race relations and mainstream society's treatment of the poverty-stricken and largely ignored Afro-Mexican community. Canada and Obama and the world (CBC) Toying with the notion of an election over Afghanistan, Canada's fractious political parties peered into the abyss on Tuesday — but the abyss peered back. Funny thing, but what might have stopped them going over the edge looked and sounded remarkably like Barack Obama. Campaign Confidential: The Obama Factor (Torontoist) A strange thing is happening here in Toronto Centre: Barack Obama seems to have become a candidate. Not literally of course, and (as you'll see) it's not clear what party he's representing, but his presence is certainly being felt. Obama supports Israel. Period. (Haaretz) Barack Obama's big speech on Israel is now over, and as expected, the candidate made no secret of his support and dedication to the special relationship between the U.S. and Israel. Obama a proxy dream of hope for Africans (Kenya Today) In fact Obama, seen from this side of the continent, has become a “proxy-dream”, not only for Kenyans but for many Africans, entangled in daily hardships, unable to have dreams of their own, barred from the road to success and self fulfilment by so many seemingly insurmountable hurdles. Obama must tame America for the continent of his ancestors (Nationmedia.com) Barack Obama, now leading Hillary Clinton in the Democratic Party presidential primaries ahead of key battles in Texas, has come like rain on American politics. Obama's high standing goes beyond his opposition to the Iraq War, which has always been unpopular here. The sudden crush is intimately bound up with the near constant comparisons here between the young senator from Illinois and President John F. Kennedy - still admired in Germany and particularly in Berlin - which have stuck fast as his identity in the German press. Obama=1 Establishment=0 (Audentes Fortuna Iuvat) El triunfo de nuestro candidato Barack Obama en la primera fase del complejo sistema de elección presidencial de Estados Unidos nos devuelve la esperanza. Y quiero gritarlo con histeria: Obama es la re-encarnación de Kennedy. Obama es la política como nos gusta: incluyente, esperanzadora, audaz! Many Indonesians cheer Obama in Democrat race (ANTARANews) The 2008 U.S. presidential election is being watched closely by millions around the world but few are more fired up than Indonesians, who can lay claim to Democratic hopeful Barack Obama as nearly one of their own. Veltroni as Italy's Obama (OneNews) Walter Veltroni reckons there's something of Barack Obama about him. "Yes we can! ", the Rome mayor said in English at the end of a news conference this week to launch his campaign to be the next leader of Italy, borrowing the catchphrase of the Illinois senator who aims to be the first black US president. Barack Obama may be attracting many young Latino first-time voters – but if he doesn’t win his party’s nomination, they may not vote a second time. More than four out of five Latino first-time voters under the age of 30 who voted for Barack Obama on Super Tuesday say that if the Democrats nominate Hillary Clinton, they will not vote at all in the presidential election in November. For the majority of urban Latino youth, if Obama doesn’t make it to the November election, they’ll watch the returns on television that night, but they won’t bother to vote. “establishment,” “prehistoric,” and “bigoted,” could compel the much-vaunted “youth” vote to stay home on Nov. 8. Once a candidate has 1,627 of these "pledged" delegates, he or she will win the nomination -- unless the judgment of voters is overturned by the 796 superdelegates. "Hispanic Hoosiers" who will visit New York are also representing Chicago Latinos When Puerto Rican officials in New York City honor Indiana this summer, they are going to expose what has always been the state’s paradox. 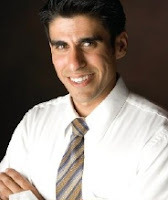 Rep. Juan Garcia endorses Obama! Well I'll be. Puerto Rico Governor Anibal Acevedo-Vila has endorsed Barack Obama for president (See statement below). Another blow to the Clintonistas which assumed that the NY Junior Senator had the island's 63 delegates in the bag, too. It's a little surprising to me because the governor is so chummy with big Hillary booster, and ethics nightmare, U.S. Senator Robert Menendez. I guess U.S. Rep. Luis Gutierrez and Dennis Rivera of the SEIU had something to do in persuading Anibal to act boldly. Of course, it could also be that Ms Hillary is not all that popular among La Isla del Encanto's voters. Today I announce my endorsement of Senator Barack Obama for President of the United States. Not only is he the right leader for Puerto Ricans, but he is the right leader for the Hispanic community and the right leader to unite all Americans. He has the determination to make our collective future great. Senator Obama demonstrates the strongest commitment to Puerto Rico that we have seen in recent times in U.S. politics. Most importantly, he has pledged to me that as President he will work to advance job creation and economic development in Puerto Rico-my highest priorities as Governor. Puerto Rico's Commonwealth relationship with the United States is a treasured part of our identity and a critical tool for achieving our economic development goals. Senator Obama respects and supports Puerto Ricans' right to an unbiased, transparent self-determination process, which may include a constitutional convention or plebiscite, should Puerto Ricans reevaluate our status with the United States. He rejects the recent assertions made by a controversial Presidential Task Force on Puerto Rico which falsely declared our Commonwealth status as unconstitutional and which would force Puerto Ricans to choose between only statehood and full independence from the United States. Senator Obama believes that our fate as U.S. citizens should remain in our own hands. Senator Obama shares my goals for improving access to affordable healthcare through Medicaid and other federal health care assistance programs, and providing quality education for all Puerto Ricans. Additionally, he has pledged his commitment to ensure the proper clean-up of the U.S. Navy site on Vieques, the health of Vieques' people and the successful use of this land. Senator Clinton has been a valued friend to Puerto Ricans on the island and U.S. mainland, including many in New York. Her support cannot go unrecognized and on behalf of all Puerto Ricans, I thank her for her leadership. Great leaders like Senator Obama are defined by their visionary leadership - but also by their willingness to listen to, and learn from, the voices of citizens. The four million Puerto Ricans on the Island, along with the four million across the U.S. mainland, are seeking such a leader as President. Senator Obama has answered our call, by hearing Puerto Ricans' desire to advance our economic, social and political aspirations. I am proud to endorse Barack Obama for President. The 46-year-old Obama has expanded his base of support, winning new legions of supporters. The more people see and hear him, the more they like him. As the Hawaiian-born son of a Muslim Kenyan father and an Anglo Midwesterner, the devoutly Christian Obama transcends race and religion. His life has been one of involvement with disadvantaged Chicago residents, excellence at Harvard Law School and eight years as an Illinois state senator. He was elected to the U.S. Senate in 2004, only the third African-American to serve there since Reconstruction. Obama is both the epitome of the American Dream and well-positioned to reach out to an international community alienated by recent U.S. go-it-alone policies. The passion and excitement that Obama has brought to the race can only stimulate more citizens to participate in the electoral process. The Chronicle urges Texas Democrats to cast what could be decisive ballots for his presidential nomination. The Clintonistas believe that they have the Tejano vote in the bag. I find that assumption arrogrant and condescending. Yes We Can, Tejanos! Update: The NYPost weighs in with Obama Robbed in NY. So, notching victories with the aid of performance enhancers has not been the exclusive domain of certain marquee NY ballplayers. It now seems that Hillary’s NY vote against Obama may have been juiced, too. That anomaly was not unique. As a matter of fact, a review by The New York Times of the unofficial results reported on primary night found about 80 election districts among the city's 6,106 where Mr. Obama supposedly did not receive even one vote, including cases where he ran a respectable race in a nearby district. Is this why the Clintons so much love the more "democratic" primary to the caucus? Think about it, caucuses require real people to show up, speak up, participate, deliberate and decide. All primaries require is the allegiance of a few hacks. Q: Are the Clintons pretty good at getting hacks to do their dirty work, or not? Now, I'd like to see congressional pols get as exorcized about artificial electoral enhancers as they so publicly displayed this past week with regards to the use of steroids in sports. Come to think about it, perhaps all pols should be subjected to citizens conducted caucuses. 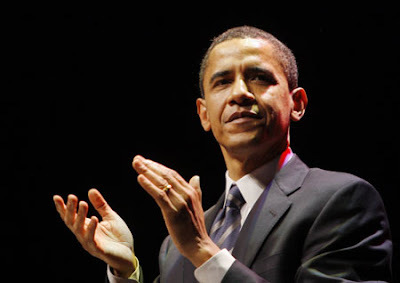 The 1.9 million member Service Employees International Union has endorsed Senator Barack Obama for president. Led by American Labor's most progressive union crusaders, Andy Stern and Boricua Dennis Rivera, SEIU believes that Obama is the best choice to help achieve "economic justice, quality, affordable healthcare for every American, the freedom for workers to unite in unions, and an end to the Iraq war. Additionally, SEIU members are supporting Obama with an aggressive political effort. With more than 150,000 members in the upcoming primary states, including Wisconsin, Ohio, Pennsylvania, Rhode Island, and Texas, SEIU is mobilizing thousands to go door-to-door, work the phones, and will send mail about their support for Obama. SEIU also will have a substantial presence on television and radio in every critical state. Obama was also endorsed this week by the United Food and Commercial Workers, a politically active union 69,000 members in Ohio and another 26,000 in Texas. The food workers also have 19,000 members in Wisconsin, which holds a primary Tuesday. BTW: American Taino's father was a member of 1199. Israel Correa is a 2nd generation U.S. citizen born in Phoenix, Arizona to a Texas mom. However, none of those facts mattered when ICE "black boots" arrested and held Correa in one of the government's shameful sweeps of Latinos in search unauthorized immigration. We were taught that the U.S. Constitution amd the Bill of Rights were safeguards against such abuses. And most Americans are appalled when they see certain foreign governments rounding up people and blowing up their homes as a form of group punishment due to the actions of certain individuals. Of course, the American government has been guilty of exacting group punishment in direct violation of constitutionally protected rights. Native Americans, African Americans, Japanese Americans, Chinese Americans, Muslim Americans, Latinos and others have been victimized in the past. I would only ask that nonLatino Americans imagine that they're Mr Correa for a second. You've been arrested--and your rights as an American citizen have been stripped. You're scared, confused and angry. How can this happen to you--an American citizen? You realize at that point that in this country--in the year 2008--the rights of some count more than the rights of others. If you're Latino and brown-skinned, you're only allowed a watered down set of rights. Otherwise, how could such a thing happen? What is very sad is that some Americans--too many--believe that it's perfectly fine to arrest and hold Mr. Correa and his kind. They view it as necessary to protect their kind and what they view as their country. To hell with the brown, yellow, black or red Americans that get in the way. Click here to watch CNN's heart-breaking interview with Mr. Correa. Another reason why we must vote for change! Yes, We Can! On the GOP side, John McCain will now cruise to his party's nomination having captured all three primaries in Washington, DC, Virginia and Maryland. Yet more evidence that Latino Pols are not going to just rollover and play dead to the Clintonistas poor treatment of their Latino allies. Today, two New York Latino Pols--State Senator Ruben Diaz and Assemblyman Joseph Peralta-- questioned the sacking of Patti Solis Doyle for primary losses they believe should be blamed on Bill Clinton and others. She might be playing with fire with the Hispanic community. I just wanted them to know that we are not innocent, to believe that the person resigned on her own. No one resigns when things are going good. Meanwhile, Obama has crushed Hillary and the vaunted Clinton War Machine again, and again and again. He has won in DC, Virginia and Maryland--and did so by winning just about all demographic groups, including a majority of White male Virginians and women! Should we expect more Latino pols will finally wake up now, do the right thing and come out for Obama? Hey, Here's a pleasant surprise. A prominent Latino Democrat from California is actually speaking out regarding the severe lack of loyalty being exhibited by the Clintons. "Apparently, loyalty is not a two-way street," he wrote. "Latino superdelegates like myself . . . will have cause to pause." Ybarra told The Post yesterday that the loss of Solis Doyle, a child of Mexican immigrants, just weeks before the Texas primary, where 36 percent of the population is Hispanic, was "dumb as a stump." BTW: Weren't we all told that California Latino Dems are all Tara field hands? Big smiles -- happy to be fleeced again and again by Billery? Of course, I know that that picture was never true--and that there are many Latinos in California that see through their game. Still, it's welcomed news that good folks are standing up and calling these rascals out. Barack Obama beat out Bill Clinton and Jimmy Carter for a Grammy Award in the category for best spoken word album. He won the award--his second--for his audio version of his book "The Audacity of Hope: Thoughts on Reclaiming the American Dream." His first was in 2005 for "Dreams From My Father." I love Obama but isn't it just a tad unworldly how well things are going for him at the moment? But here's hoping that this special man receives many more awards for his spectacular talents and achievements. The Pew Research Center issued population projections today showing that the U.S. population will reach 438 million by 2050 given current fertility, longevity and immigration trends. Of that population, 127 million, or 1 of 3 Americans will be persons of Latino heritage. Additionally, the percentage of nonLatino Whites dips below 50% to a projected 47% of the population. People of color will comprise a majority. By comparison, White nonLatinos were 85% of the population as recently as 1960. My view is that these demographic trends are the result of the Americanization of the United States and Canada. The restrictionists have been doing all they can to slow the process down through anti-immigrant pogroms, Berlin-type walls, black boot scare tactics, anti-Latino harassments, and illegal anti-immigrant worker municipal codes. However, the population trends are natural and irreversible. Heading into tommorrow's "Potomac Primaries" in which voters in Washington DC, Maryland and Virginia pick their favorite presidential candidates, it appears that Obama Fever has struck the region. Polls, Photos and endless happy faces suggests that the outbreak is an especially strong one. Obama Fever is expected to next strike the good people of Hawaii and Wisconsin. Speaking of the hugely important upcoming primary in Texas....Its most respected Latino--State Rep. Pete Gallego--just endorsed Senator Barack Obama. Gallego is chairman of the Texas Mexican American Legislative Caucus. "I made a determination that it's time to pass the mantle on to a new set of folks at the national level." "Obama's life story and his values are so much closer to the Latino community than any candidate other than Bill Richardson." "Part of what drives me is his life story. It's a fascinating life story. It's more than just the issues, it's his values. I think Hispanics and South Texas should really be able to relate to him." The non-partisan Mexican American Legislative Caucus comprises most Latino members of the Texas House of Representatives. Gallego said he was in the process of contacting other Democrats in MALC to see who they are lining up for in the presidential election. I wonder who will have more influence with Caucus members, Mr Gallegos or Hillary's demoted Ms. Patti Solis Doyle? Also, isn't this notable endorsement, the endorsements of other Latino leaders, and the millions of Latinos that regularly vote for African Americans candidates, including, of course, Barack Obama, yet more evidence that the Clinton Campaign's cynical belief that Latinos are too racist to support an African American a truly despicable lie? Obama Tougher for GOP to Beat? Call to A Weary Nation: Yes. We. Can. Yes, We Can. Si, Se Puede. Latinos for Obama - Si Se Puede!